Peritoneal cancer, or "primary peritoneal cancer" is a rare cancer, occurring in only around 6 out of 1 million people. (In comparison, epithelial ovarian cancer occurs in roughly 120 out of 1 million people). The exact number, however, is difficult to estimate, as it's thought that a significant number of women (up to 15 percent) diagnosed with advanced serous ovarian cancer actually have peritoneal cancer. In many ways, peritoneal cancer is similar to epithelial ovarian cancer, causing similar symptoms, looking similar under the microscope, and responding to the same type of treatments. Due to a lack of symptoms early on, primary peritoneal cancer is often diagnosed in the advanced stages of the disease; it tends to spread early, due to the abundance of both blood vessels and lymphatic vessels in the abdomen and pelvis. The peritoneum is a two-layered membrane that lines the organs of the abdominal and pelvic cavity, covering the digestive tract, liver, and reproductive organs. It is made up of epithelial cells and has an appearance similar to Saran wrap enclosing the organs. These membranes and a small amount of fluid between the membranes protect the organs, allowing them to move freely against each other without sticking. Some other forms of cancer can spread to the peritoneum, but peritoneal cancer begins within the cells that make up the peritoneum (the reason it is called primary peritoneal cancer). It may occur anywhere within the abdominal or pelvic cavity, and when it spreads, it often spreads to the surface of abdominal and pelvic organs. There are many similarities between primary peritoneal cancer and epithelial ovarian cancer, including the most common symptoms and the treatment methods used. The lining of the abdomen (peritoneum) and surface of the ovary stem from the same tissue in fetal development. There is some thought that the peritoneal cells that give rise to peritoneal cancer may actually be leftover ovarian cells that remained in the abdomen during development. These similarities between the cancers are helpful in planning treatment, as epithelial ovarian cancer is much more common and more research has been done. While peritoneal cancer and ovarian cancer are similar, there are important differences as well. People who are diagnosed with peritoneal cancer tend to be older than those with ovarian cancer. With regard to treatments (below), the chance that debulking surgery will be successful is greater in peritoneal cancer, but the overall survival rate is poorer. This suggests that there are differences in tumor biology between the two types of cancer. Just as ovarian cancer is known as the "silent killer" due to the lack of symptoms in the early stages of the disease, people with peritoneal cancer often have few symptoms until the disease is fairly advanced. When symptoms occur, they are often vague and nonspecific, with symptoms of abdominal swelling, diffuse abdominal pain, urinary frequency, and a sense of fullness when eating. Other symptoms may include bowel changes (more often constipation), abnormal vaginal bleeding, an abdominal mass, or unintentional weight loss. As the disease progresses, fluid may build-up in the abdomen (ascites), causing abdominal discomfort, nausea and vomiting, and shortness of breath due the pressure of the abdomen pushing upwards on the lungs. Fatigue is also common. Complications of peritoneal cancer may include bowel obstructions (sometimes necessitating a stoma, or hole between the intestine and the outside of the body), and urinary tract obstruction (due to blockage of the ureters by tumors), sometimes requiring a stent or nephrostomy tube (a tube from the kidney to the outside of the body). It's not known exactly what causes peritoneal cancer, though the process begins when a series of mutations in peritoneal cells results in out-of-control growth. Peritoneal cancer is much more common in women and has risk factors similar to the risk factors for ovarian cancer. These include age, with most people who are diagnosed being over the age of 60, having a history of breast cancer, the use of hormone replacement therapy (both combination and estrogen-only types), a history of endometriosis, and obesity. The use of talc below the waist is also linked with an increased risk. In contrast, there are factors that are associated with a lower than average risk of developing the disease. These include the use of oral contraceptives (the reduced risk may last 30 years after they are discontinued), having a tubal ligation, giving birth, especially before the age of 35, and breastfeeding. Some, but not all studies suggest that the use of aspirin and nonsteroidal anti-inflammatory drugs such as Advil (ibuprofen) may reduce risk. As noted, some people have preventive surgery to remove their fallopian tubes and ovaries (hysterectomy and salpingo-oophorectomy) due to a family history of ovarian cancer or a BRCA gene mutation. While this can reduce the risk of epithelial ovarian cancer by up to 90 percent, the risk of peritoneal cancer remains. A family history of ovarian, fallopian tube, or peritoneal cancer increases risk, and around 10 percent of these cancers are considered to be hereditary. Having certain genetic syndromes such as Lynch syndrome (hereditary non-polyposis colon cancer) or having a BRCA gene mutation increases risk. Women who carry a BRCA gene mutation have roughly a 5 percent risk of developing peritoneal cancer, even if they have their ovaries have been removed preventively. There is not currently a screening test that has been found effective in the early detection of primary peritoneal cancer, even for those who have an elevated risk of developing the disease. After listening to symptoms and performing a physical exam, there are a number of tests doctors may order when considering the diagnosis. Imaging studies can be helpful in evaluating the symptoms of peritoneal cancer. An ultrasound (transvaginal ultrasound) is often the first test performed. A CT scan of the abdomen and pelvis, or MRI may also be helpful. In addition, an upper and or lower GI series may be ordered. Most often, a biopsy is needed to either confirm or refute a diagnosis. A biopsy is often taken during a laparoscopy, a minimally invasive procedure in which several small incisions are made in the abdomen, and instruments are inserted to remove tissue samples from the abdomen or pelvis. A laparoscopy may also give important information about treatment. A 2018 study found that laparoscopy was very sensitive in determining who would likely have a good response to optimal cytoreduction surgery (see below). Since this surgery is a very major surgery, laparoscopy may be very helpful in deciding who should have this surgery and for who the risks might outweigh the benefits. When ascites is present, a procedure called a paracentesis may be done to drain off some of the fluid and help with breathing. This fluid can also be examined under the microscope to look for the presence of cancer cells. There are a number of conditions that can mimic primary peritoneal cancer. Some of these include the different types of ovarian cancer, abdominal abscesses, cystic collection of fluid, bile, or lymph fluid, as well as metastases to the peritoneum from other types of cancer. Unlike many cancers that are divided in stages from 1 to 4, primary peritoneal cancer does not have an "early stage." Regardless of symptoms and findings, the disease is always stage 3 or stage 4 at diagnosis. In stage 3 disease, the cancer may have spread outside of the pelvis or to lymph nodes near the back of the abdomen (retroperitoneal lymph nodes). With stage 4 peritoneal cancer, the tumor has usually spread (metastasized) to organs in the abdomen, such as the liver, or to other regions of the body, such as the lungs. For those who will be having surgery, it's recommended that a specialist known as a gynecologic oncologist perform the procedure. Studies have found that outcomes are better when surgery is performed by these subspecialists than if surgery is performed by a general surgeon or gynecologist. It's also important to find a gynecologic oncologist who has experience treating women with ovarian cancer and peritoneal cancer. The surgery most often performed is a type of exploratory surgery known as cytoreduction or debulking surgery. The goal is to remove an optimal amount of the cancer, but it's often impossible to remove all of the cancer. In this surgery, a surgeon removes the uterus (hysterectomy), both fallopian tubes and ovaries (bilateral salpingo-oophorectomy), and the primary location of the cancer in the peritoneum. Sometimes the omentum, the fatty layer of tissue surrounding the intestines, is also removed (omentectomy). Depending on the site and extent of the cancer, nearby lymph nodes, as well as the appendix may be removed. (The peritoneum itself cannot be removed.) Peritoneal cancer can spread extensively through the abdomen, and often times many areas of tumor are removed. Cytoreductive surgery can seem confusing to those who are familiar with other forms of cancer. For example, if a lung cancer or breast cancer cannot be removed completely with surgery, performing surgery does not improve survival (but does increase pain and complications). In contrast, with peritoneal and ovarian cancer, removing much, but not all of the cancer does appear to improve survival. By reducing the amount of tumor present, chemotherapy can be more effective, as it works better if there are only small tumors in the abdomen. The goal of cytoreductive surgery is not usually complete removal of the cancer, but rather "optimal" removal of the tumor. With an optimal cytoreductive surgery, there are not any areas of cancer left in the abdomen that are larger than 1 centimeter (about half an inch) in diameter. Chemotherapy may be given during surgery or afterward. Chemotherapy is commonly used for peritoneal cancer during or following surgery, or alone for tumors that are widespread. Chemotherapy can be given intravenously, or instead, injected directly into the abdominal cavity (intraperitoneal chemotherapy). A fairly unique treatment has proven helpful for peritoneal cancer. In this procedure, heated chemotherapy drugs are injected into the abdomen during (intraoperatively) or following surgery (hyperthermic intraperitoneal chemotherapy). With heated intraperitoneal chemotherapy, the chemotherapy drugs are heated to 107.6 degrees F. prior to being injected into the abdomen. Heat can kill cancer cells and appears to make the chemotherapy more effective. It is most often used shortly after cytoreductive surgery has been completed with advanced peritoneal cancer. Targeted drugs are medications that target specific pathways involved in the growth of a cancer cell. Avastin (bevacizumab) was approved in 2016 for use along with chemotherapy (followed by Avastin alone). Lynparza (olaparib) may be used for women who carry BRCA gene mutations. The medication Tarceva (erlotinib) may also be effective for some people. In addition, some primary peritoneal cancers overexpress (are positive for) HER2, similar to some breast cancers, and these may respond to HER2 targeted therapies. In 2018, Rubraca (rucaparib) was approved for maintenance therapy due to a treatment resulting in a significantly longer progression-free survival than placebo. Radiation is used infrequently for peritoneal cancer but may sometimes be useful for isolated areas of cancer. There are currently several clinical trials in process evaluating new ways to treat peritoneal cancer. These include studies looking at other targeted therapies, and immunotherapy drugs; drugs that work in different ways by simplistically harnessing your own immune system to fight the cancer. Unfortunately, most people are diagnosed with peritoneal cancer only after it is in the advanced stages, and when a cure is not possible. Yet, even if curative treatments are not recommended (because often they do not improve outcomes but do increase side effects) there are many things that can be done to improve quality of life. Paracentesis (inserting a needle through the skin into the abdominal cavity to drain fluid) may improve breathing. Nutritional consultation may help with the loss of appetite associated with cancer, and perhaps (it's not certain) reduce the risk of cancer cachexia. Pain control is important, as this cancer can be very uncomfortable, and management of nausea can also improve quality of life. Alternative treatments have not been found to be effective for treating cancer, but may help people cope with the symptoms related to cancer and cancer treatments. Integrative therapies such as yoga, meditation, massage, acupuncture, and more, are offered at many of the larger cancer centers. While the prognosis of peritoneal cancer is generally poor, there have been documented cases of complete remission from the disease. There are few studies looking at survival rates, but there are some factors associated with better survival rates. These include the absence of cancer in the lymph nodes, an optimal or complete cytoreduction surgery, and the use of hyperthermic intraperitoneal chemotherapy. Coping with any cancer is challenging, and added to the normal issues is that many people have never heard of peritoneal cancer. This can feel very isolating, especially when you see the support offered to people with other types of cancer (such as breast cancer). But while you are unlikely to find a support group for peritoneal cancer in your community due to the relative rarity of the disease, there are online peritoneal cancer communities people can connect with day and night if needed. The Primary Peritoneal Cancer Foundation provides information and has an online forum where people with peritoneal cancer can communicate with each other. There are also several Facebook groups designed specifically for people living with peritoneal cancer. In addition to these resources, some of the cancer organizations that represent ovarian cancer, as well as organizations that support people with many forms of cancer, may also be a source of support. Some, like CancerCare, even provide support groups and communities for friends and family members of people living with cancer as well. Any diagnosis of cancer can be frightening, but considering that peritoneal cancer is rare and most often found in the advanced stages of the disease, can make this particularly challenging. When you begin to learn about your cancer you may feel discouraged. It may help to keep in mind that finally, after many years of only mild progress, the treatment options for advanced cancer are improving significantly. 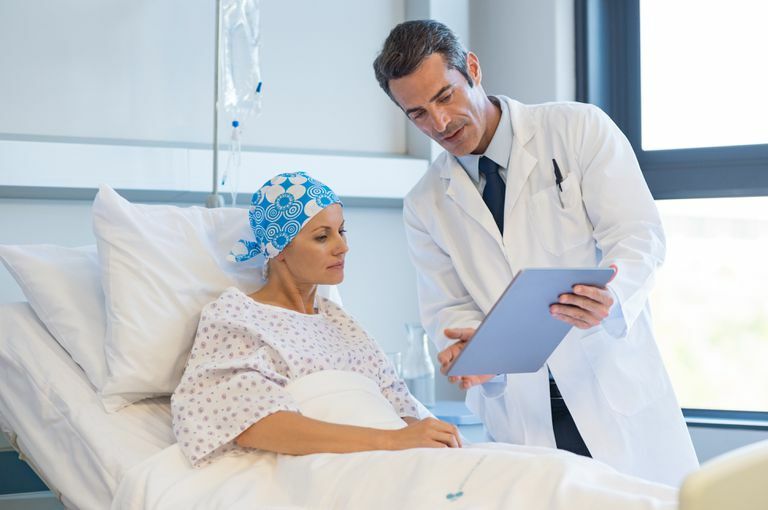 But even if a peritoneal cancer is not curable, the management of symptoms related to cancer has also improved exponentially, and many people are able to live comfortable and fulfilling lives while coping with the disease. National Cancer Institute. Ovarian Epithelial, Fallopian Tube, and Primary Peritoneal Cancer Treatment (PDQ): Health Professional Version. Updated 05/16/18. Andikyan, V., Kim, A., Gretz, H. et al. Laparoscopic Assessment to Determine the Likelihood of Achieving Optimal Cytoreduction in Patients Undergoing Primary Cytoreductive Surgery for Ovarian, Fallopian Tube, or Primary Peritoneal Cancer. American Journal of Clinical Oncology. 2018 Apr 5. (Epub ahead of print). Gao, B., Lindemann, K., Anderson, L. et al. Serous Ovarian and Primary Peritoneal Cancers: A Comparative Analysis of Clinico-Pathological Features, Molecular Subtypes And Treatment Outcome. Gynecologic Oncology. 2016. 142(3):458-464. U.S. Food and Drug Administration. FDA Approves Rucaparib for Maintenance Treatment of Recurrent Ovarian, Fallopian Tube, or Primary Peritoneal Cancer. Updated 04/06/18.